← Faces of Voice – S Janaki and her heroines!! 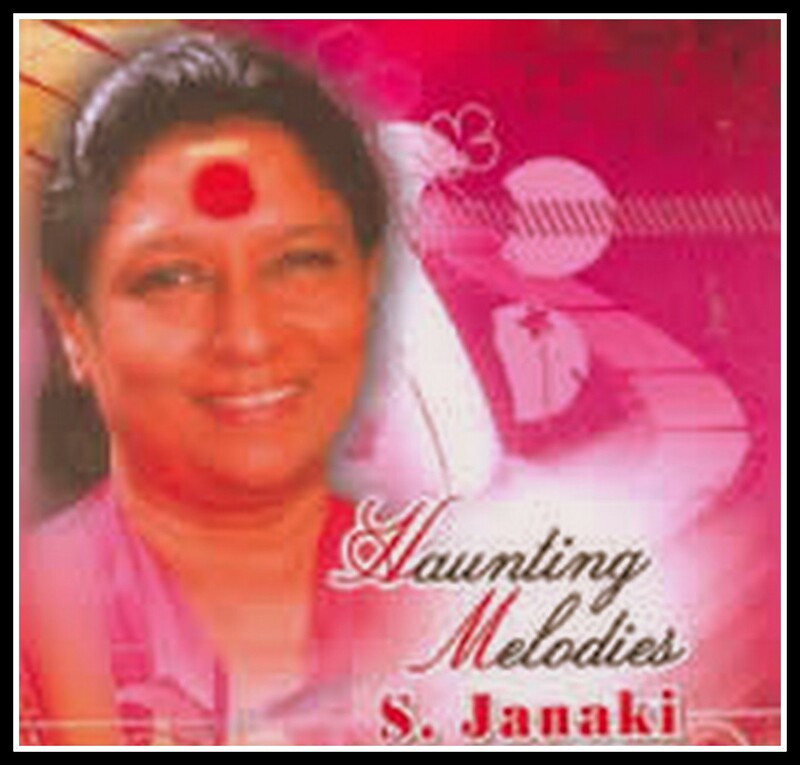 10 Haunting Melodies of S Janaki!! Indian cinema encouraged concept of haunting melodies on ghosts/Yakshi/devils like no one else did. Many songs were created in this theme. Though, most of the songs had similar picturisation with few exceptions, they were received good. Main reason for this is the melody involved in the theme. Ironically, all devil songs in Indian cinema were sung by beautiful voices in a very high pitch. S Janaki’s voice was tailor made for such haunting melodies where her expression and volume control ruled. She filled so much pain in those songs and made them memorable classics. Presenting 10 haunting melodies in voice of Janaki amma here..
Bhargavi Nilayam was the first movie of Vijayanirmala as heroine. This movie is one of initial movies in Malayalam with a complete Horror theme. It is remembered till date for the magical compositions of M S Baburaj. It had 4 solos sung by S Janaki and one solo of KJ Yesudas, all being popular. Pottatha Ponnin had two versions. One happy version before death of heroine in movie and the other after her death, when she becomes a devil. Genius called “Baburaj” created a mesmerizing melody, even for a devil song. Who else but he would use Piano in a Yakshi song! Though, Vasantha panchami naalil became runaway hit, this haunting melody was no less! Music director Satyam created this melody during peak of his career in early 70′s. He had rare talent of combining melody and instrumentation in correct quantity and giving listeners a unique experience. He was known as RD Burman of Telugu cinema. Just listen to this song to know why he is called so. When she sings “Raaaja”, song directly pierces into one’s soul. Interestingly, this song was also picturised on actress Vijaya Nirmala. With success of this song, Satyam recorded many more such ghost songs in Telugu. In fact, SJ had become voice of many haunting melodies during 70′s and 80′s. Purchase any compilation of S Janaki’s solos in Kannada released by Saregama HMV, this song is a must in that. Such is popularity of this song. Dr.Rajkumar’s screaming is so popular in this song that it is not even removed from Audio version. The way Janaki amma sings the line “Janma janmada ee anubandha” is perfect definition of helplessness of a disturbed soul. R Rathnam composed this haunting melody and SJ did nothing but poured life into it!! We cannot end discussion on Satyam’s melody without this classic. Male version of this song is very much instrumental in success of SP Balasubrahmaniam in his initial days. Though Balu sir’s version is more popular, Janaki amma’s melody is equally memorable. Roja Ramani’s beauty adds more flavor to it. Hero sings about his dream girl and when she dies in some inevitable conditions, her memories haunt him in form of this song. “Ye Divilo” is theme of movie and it is repeated many times in voice of SJ in this movie.There is even another unreleased version of this song in Janaki amma’s vocals. One would fall in love with song for the magic Satyam – S Janaki created in it. If most of the songs in this theme were about bold emotions expression in a very bright way, Salilda came with a tune which is quite different. This is a soothing composition like Pottthakarna of Baburaj. His tunes were well known for variations after every second note and were never predictable. This song is a classic example for the same. SJ sang this song with all heart and soul and thus the song became one of best from Salil-SJ combination. This movie is directorial debut of actress Sheela. She chose M S Viswanathan as music director for this project who further chose S Janaki for singing the songs of Yakshi in this movie. MSV-SJ created two memorable yakshi songs in this movie. When the movie was remade in Tamil, they repeated the magic there as well. Like most of other songs in this category, song starts with a striking alaap by SJ followed by her expressive singing. MSV’s use of sound of anklets in this song is as per story of the movie where only heroine listens to otherwise unheard anklets of Yakshi. 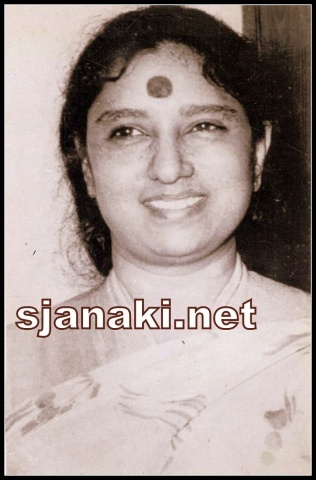 Shyam created every variety of song for S Janaki. He did not leave a chance to create a “Yakshi” song in most celebrated voice of his musical journey. He used her laugh, here in a mischievous style and her sobbing in mid of the song to create an extra thriller effect..Other songs in this post mainly creates a mood of melancholy. But, This one does not. It is purely in mood of a devil song to create horror affect. Aah , How can one forget this creation of Ilayaraja. His Background score speaks everything. Sound of drums creates a melodious horror affect! Modulation of Janaki in this song is truly haunting. Listen to charanam(stanza) of the song for her expressive singing! If Ilayaraja concentrated on his strength of composing back ground score in other haunting songs that he created, he proved his strength of composing beautiful melodic tunes in this song.His violins are amazing in this song too! SJ sang this song with a feel of loneliness and pain of separation. Though meant for a comic scene in the movie, this song evokes million feelings within 3 minutes. Stanzas are real asset of this composition. En Annai Saida Paavam/Sumaithangi/Viswanathan-Rammurthy and songs from remake of Yaksha gaanam in Tamil for collectors choice!